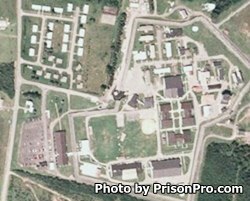 Watertown Correctional Facility is located in Jefferson County New York. It is a medium security institution that houses males 16 and over. The capacity of Watertown Correctional is 873 inmates. Offenders housed here can receive alcohol and substance abuse services. Additionally they can participate in a composting operation that helps reduce the amount of waste produced by the facility. Watertown Correctional Facility offers inmates multiple vocational courses including training in computer technologies, building/custodial maintenance, electrical, horticulture, small engine repair, and culinary arts. Watertown Correctional Facility has visitation hours on Saturdays, Sundays and Holidays from 8am-2:30pm. You must arrive prior to 2pm, as this is when the processing of visitors stops.